Says, "will always be walking in the shadows of giants"
Attacks PM, says he is "taking us back to medieval times"
Rahul Gandhi became Congress president today, replacing his mother Sonia Gandhi and taking charge of India's oldest party after what many describe as the longest-ever political apprenticeship. 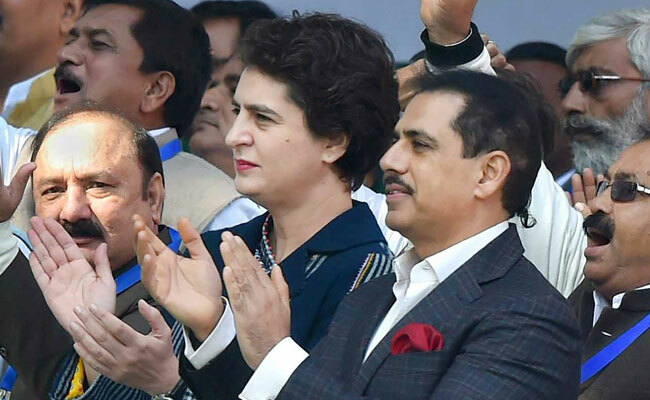 At a ceremony held on the lawns of the party's 24 Akbar Road headquarters in Delhi, the 47-year-old accepted a certificate for his promotion, watched by Sonia Gandhi and former prime minister Manmohan Singh on the stage and younger sister Priyanka Gandhi Vadra in the audience. 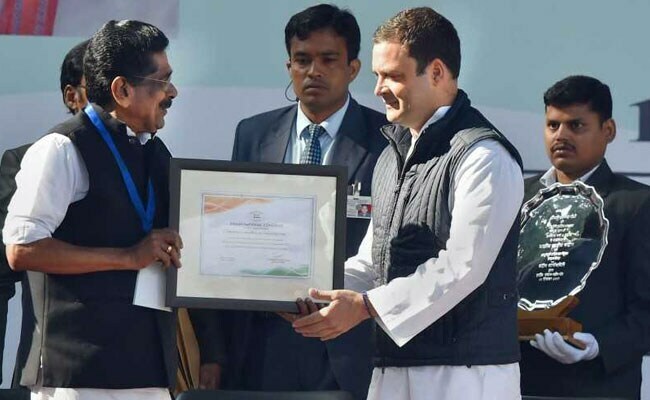 Rahul Gandhi is the sixth member of the Nehru-Gandhi dynasty to lead the Congress; no one challenged his elevation in the organizational election that critics called a sham. Images of Mahatma Gandhi, Sonia Gandhi and Manmohan Singh beamed on a banner behind him as he took charge after the traditional "Vande Mataram". "Congress took India to 21st century, but the Prime Minister (Narendra Modi) is taking us backwards, to medieval times, where people are being butchered because of who they are, beaten for what they believe and killed for what they eat," Rahul Gandhi said, attacking PM Modi and the government in his first speech as Congress boss. "Foreign policy is in tatters, everything is subservient to one leader, his personal image...they can only defeat us if we back down, we have to stand up to them, the Congress won't back down." Switching between English and Hindi, text and extempore, he said: "The BJP is spreading hatred and communalism. They break, while we unite. They ignite the fire, we put it out. They break, we join...."
He called himself an "idealist" and signalled that he wanted to try a different kind of politics. 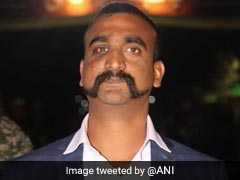 "We even consider the BJP as our brothers and sisters, because we want to be inclusive," he said. Sonia Gandhi, who led the party for 19 years, said in an emotional farewell: "I was terrified when I took over the Congress 20 years ago, my hands were shaking. I didn't know how I would manage, I had no political experience." But Rahul, she said, was stronger. "Rahul is my son, and it would not be right of me to praise him. But I can say this, that in these testing times, he has stood up to dangerous men in power. He faced such personal attacks that it has made him stronger and unafraid." Looking moved, Rahul Gandhi kissed his mother after her speech. Rahul Gandhi is widely expected to begin his presidency with two new defeats for the Congress; exit polls say the party won't win Gujarat, where the BJP has ruled for 22 years, and will cede Himachal Pradesh. In Gujarat, Rahul Gandhi led the Congress campaign from the front for the first time, going all-in as the BJP sent all its prominent faces to PM Modi's home state. Congress leaders say Rahul Gandhi has proved his chops with a spirited campaign, a newfound ease in political-speak and willingness to take on even PM Modi on his home turf. Since Rahul Gandhi became the party's vice president in 2013 and the official number 2, the Congress has lost nine states and won three including Bihar, where the party was left without power this year after Nitish Kumar swapped partners and re-embraced old ally BJP. The Congress is now in power in only five states, compared to the BJP's 14. The new Congress boss has his task cut out, with polls due in 16 states before the national election in 2019.